This coupon is for all the dog owners! 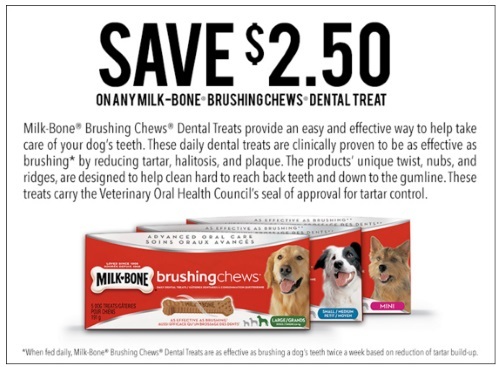 Save $2.50 off when you buy any Milk Bone Brushing Chews Dental treats! Please note, you can also get another one of these coupons from the Walmart coupon portal here.